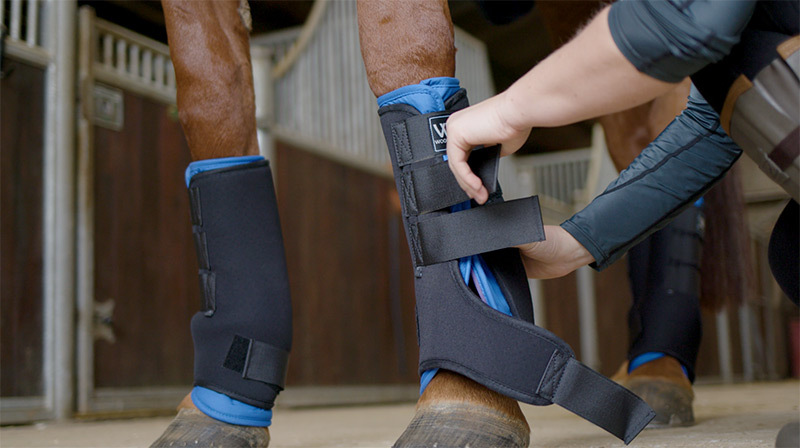 We recently filmed for a day with equestrian clothing company, Woof Wear, based in Bodmin to produce a series of product & fitting videos for one of their new ranges of horse boots. We had the use of the stables & facilities at TB Equestrian near Helland which was great as part of the video required a horse to be ridden in a riding school jumping over obstacles. The products were the new Woof Wear Mud Fever Boot which is designed to stop your horse getting mud fever in the wet winter muds. During the filming we had dry weather which wasn’t ideal as we needed to show the boot working in wet mud – nothing a bucket of water and some brushes can’t make up in a field!